Listen to the full (six and a half minute) interview here, and then come talk to Lagnado yourself on Wednesday night, when she’ll be here for the Closing Night festivities of the Hyman S. & Freda Bernstein Jewish Literary Festival. Lucette Lagnado, acclaimed author of The Man in the White Sharkskin Suit, has been all over the news in the past two weeks for her new memoir The Arrogant Years. The book, which looks at her and her mother’s lives in Egypt and America, has been extremely well received, and is finding an eager audience in an America captivated by the unfolding drama in the Middle East. Meet Lucette at our annual Bernstein Lecture on November 2. As we continue to clean out the archives, we have found a blast from the past. 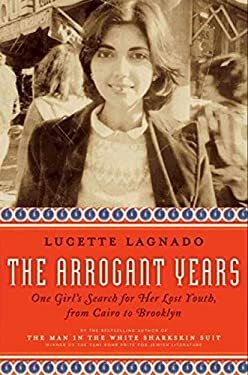 Please enjoy Lucette Lagnado, author of The Man in the White Sharkskin Suit: A Jewish Family’s Exodus from Old Cairo to the New World (P.S.) recorded at our Nextbook series. This was recorded at the Washington DCJCC on June 17, 2009.